We’ve been digging into my Mentallurgy Method of Dialogue in order to understand its progression of steps or phases. Preparation addresses the critical importance for each would-be partner to arrive at the table in the most resourceful state possible. Consideration begins to create the space where partners can search for common ground and clarify what they really want. Deliberation takes this desired outcome and weighs it against other factors that serve to refine and amplify its value. 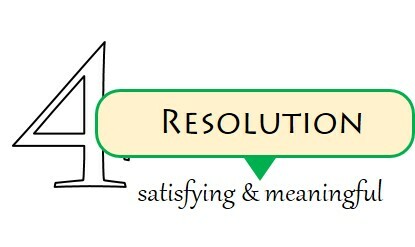 The fourth and final step in creative dialogue is called RESOLUTION, which not only signifies a strategic achievement (i.e., achieving the goal partners set for themselves) but, even more importantly, a crucial breakthrough in their synergy together where they become a genuine community (communitas, together as one). RESOLUTION isn’t necessarily a ‘last step’ in the sequence, therefore, since such breakthroughs (in higher degrees) are both the effect of earlier/deeper phases of transformation as well as the creative fuse for what’s still to come. All along the way, then, and not just at the end. In a sense, Preparation, Consideration, and Deliberation each represents a resolution of its own, as it fuels and supports the larger process of community formation. In the back-and-forth, up-and-down flow of dialogue, partners experience a more satisfying and meaningful way of being together. From the very beginning, as individuals are preparing themselves for creative engagement in the co-construction of meaning, RESOLUTION is already evident. Becoming 100% present – that is, coming back to a grounded, centered, and open state of consciousness from our ‘normal’ condition of distracted attention – is what we might call existential resolution: the resolution of each individual to be fully present in the here-and-now. Because creative dialogue and community formation name an organic process and not a mechanical procedure, self-transcendence is inherent to its dynamic. Each phase gathers and incorporates the deeper evolutionary achievement, establishes a new center of higher integrity, and prepares for the leap beyond to what’s next. This taking-up, re-centering, and going-beyond is the very essence of a living thing; we must remember that a community is alive and not merely ‘made up’ of living things. Still, there is forward direction to the organic process. Each living thing carries within itself the ideal of its own future fulfillment, as the vibrant fruit-bearing apple tree sleeps inside the seed and gradually wakes into fuller self-actualization. In other posts I have argued for the deep equivalence of human fulfillment (or self-actualization) and genuine community, that human beings only come fully into themselves with the rise of community, just as genuine community is the consilient (leaping-together) effect of their fulfillment as individuals. Creative dialogue is how this happens. In my Introduction I made the point that creative dialogue is fundamentally different from a mere strategy meeting where committee members define a goal, design their plan, take assignments, and execute the steps to completion. A committee comes together for this purpose, and when its objective has been achieved there is no further reason for it to exist. A community, quite otherwise, may orient engagement around strategic objectives, but its deeper reason for being is as a transformer of consciousness, a convergence of creative intention, and a new way of being together as one. RESOLUTION can be analyzed on each of these dimensions: consciousness, creativity, and communion. Pragmatically speaking, a committee has no real interest in any of them. According to the Mentallurgy Method of Dialogue we’ve been exploring, the resolution that partners seek necessarily includes them all, for in genuine community it’s never enough just to ‘get the work done’. Partners engage each other in this process with the aim of becoming more fully human and growing together as one. Community is not just an evolutionary and mystical enterprise, however. In the earlier phases of creative dialogue partners do real pick-and-shovel work as they practice presence, search for common ground, clarify their desired outcome, and work out a strategy. As an endeavor in the co-construction of meaning, dialogue involves much more than waiting on inspiration and its gratuitous flashes of insight. Identifying mutual interests and shared values, voicing perspectives and reflecting back what partners hear from each other, coming to agreement on a desired outcome and sharpening the signal by weighing the risk, the cost, and the work entailed in making it a reality – none of this is easy, or even fun for that matter. All of this can seem manageable, and even exciting, unless our challenge has to do with resolving conflict. For partners who start the process of creative dialogue in a spirit of camaraderie, the work of co-constructing meaning and growing into community is more enjoyable, for the obvious reasons. But individuals who step (or perhaps feel dragged) into this process because their differences are not only threatening to undermine what they once had together, but to dissolve their hopes, their family, their property, their dignity, and their sanity along with it – well, they don’t feel very much like ‘partners’ at all. It’s tempting to jump in where the fire is hottest and try to fix what’s wrong. But especially in such cases, the four steps of creative dialogue need to be taken in order. We don’t jump in to fix the problem; besides, opponents will most likely disagree on where (and with whom) the real problem lies anyway. Instead, each individual begins with PREPARATION by shifting to a more grounded, centered, and open state of being. The issue at the center of the fire can wait just a few minutes. To become partners, individuals need to release their judgments, the baggage from their past, the storyline of their conflict, and even release the identities they have constructed for themselves around it. I suspect that most – approaching all – of our disagreements and conflicts, rooted as they are in our differences, are capable of being resolved if only we can bring an inner peace to the table. The human spirit is creative, intelligent, playful, generous … and resilient. When we take the time to let go of who we think we are and come back to the here-and-now, we will find the wellspring within, providing all we need to work things out.